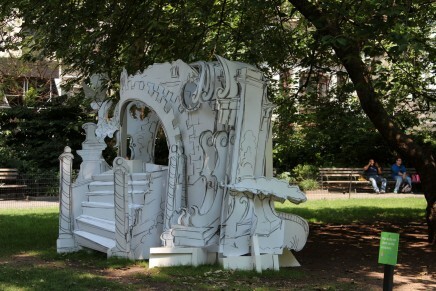 NEW YORK—Marking its second year in New York, the London-based Frieze Art Fair anchors a week of art events, including a number of other fairs scheduled to coincide with Frieze and benefit from the art crowd its attracts from around the globe. 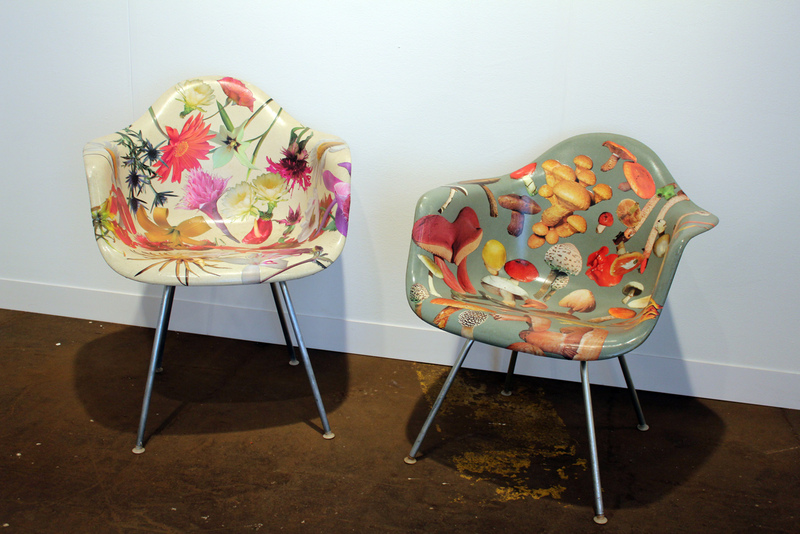 This year two new design fairs joined the fray—BKLYN DESIGNS in Dumbo and the Collective .1 Design Fair. The Collective showcased “a cohesive, curated selection of contemporary design and historical pieces from galleries around the world.” Featuring a pop-up ARTBOOK Bookstore and several installations—the entrance to the show was a wonderful prelude to the main event. 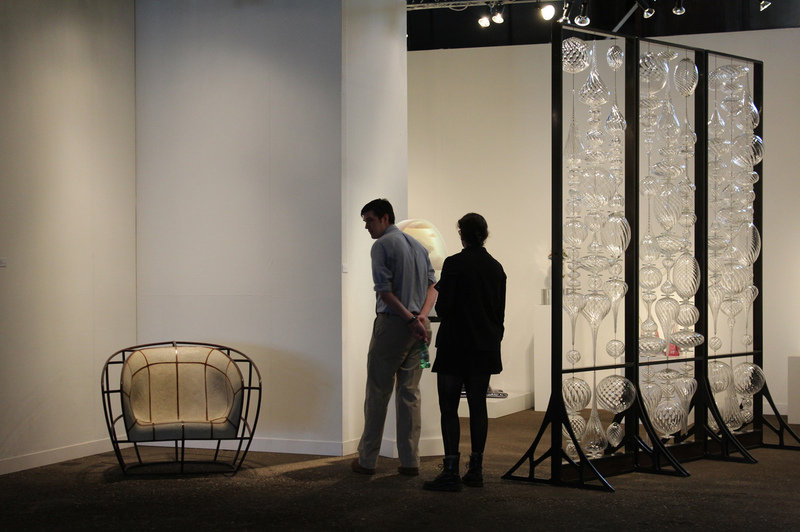 More than two dozen galleries exhibited furniture, lighting, and decorative and functional objects, and special programming included Collective Conversations, tours and a retrospective of work by legendary Italian architect and designer Gaetano Pesce. 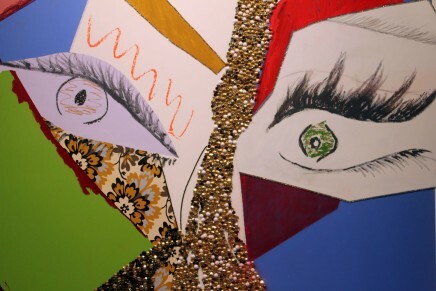 Collective .1 was open from May 8 to May 11, 2013 at Pier 57 at Hudson River Park. 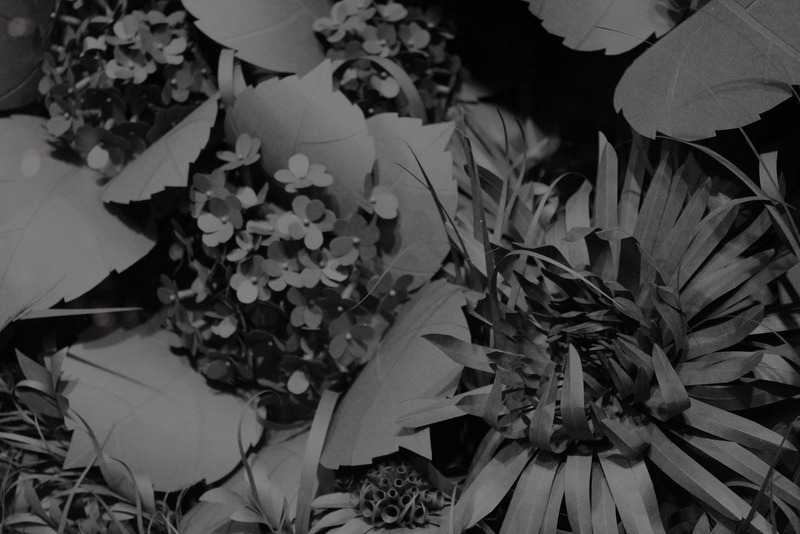 Detail of shadowbox of floral cut paper by Lauren Fensterstock at Sienna Patti Gallery of Lenox, Mass. 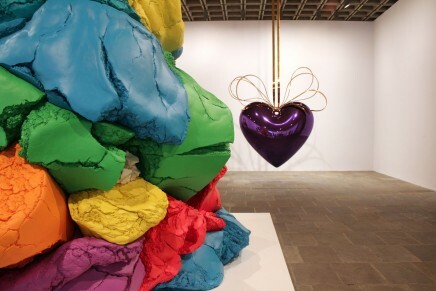 A special retrospective of work by legendary Italian architect and designer Gaetano Pesce was presented. From left, “Low Rider,” 2013 (steel, patina and ferrocement concrete) by Vivian Beer at Wexler Galler of Philadelphia. 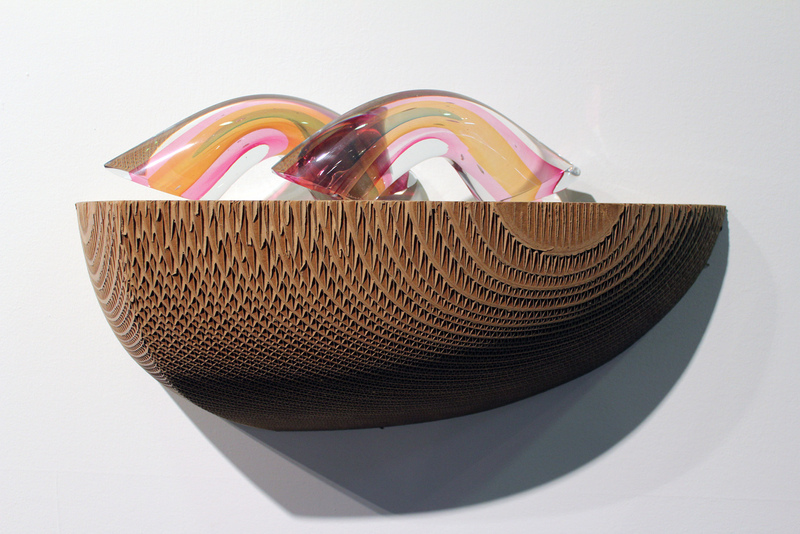 “Console #3,” 2009 (cardboard, dye, shellac) by Brian Gladwell at Wexler Gallery of Philadelphia. 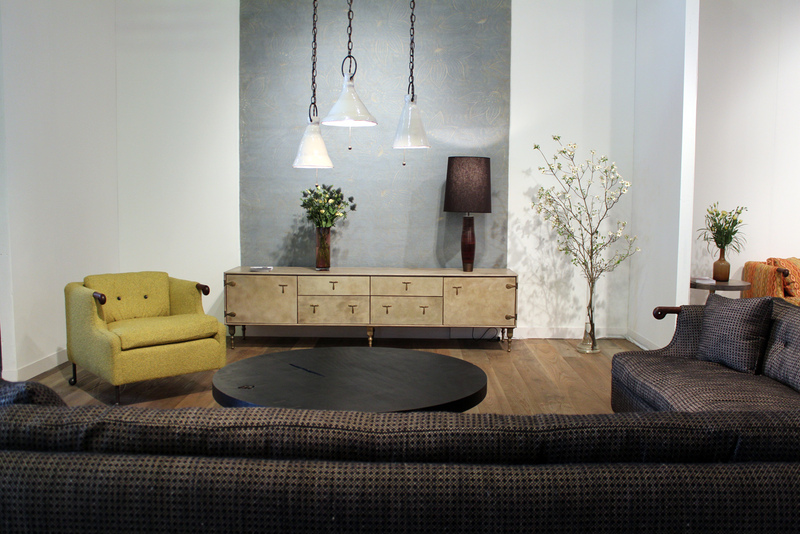 The VIP lounge featured a fabulous selection of BDDW furnishings. 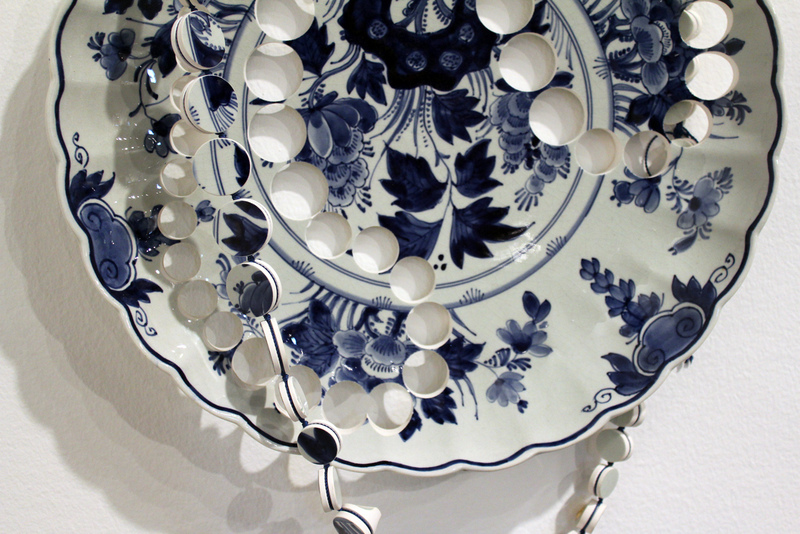 Ceramic plate/necklace by Gesine Hackenberg at Sienna Patti Gallery of Lenox, Mass. 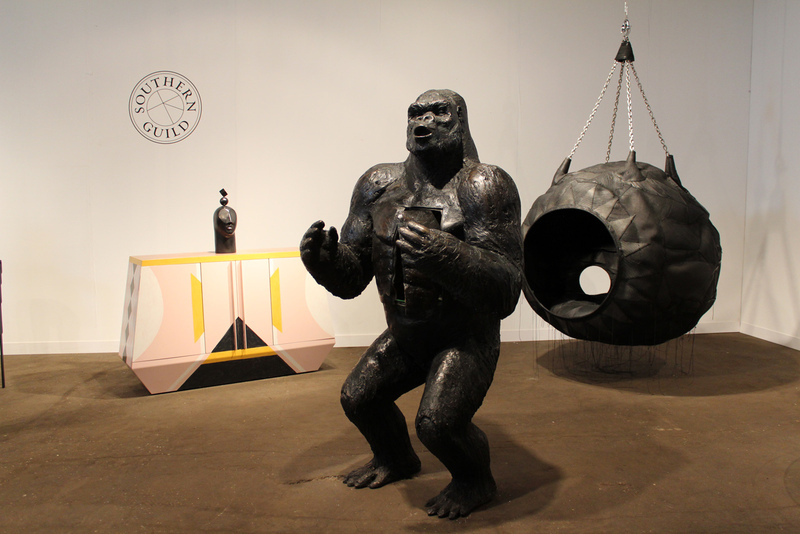 Installation view of Southern Guild of Johannesburg booth. 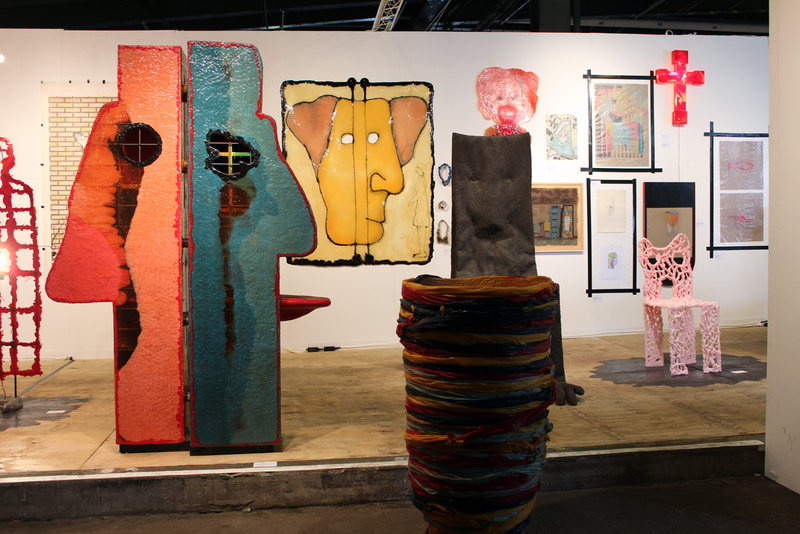 Installation view of Southern Guild of Johannesburg booth. 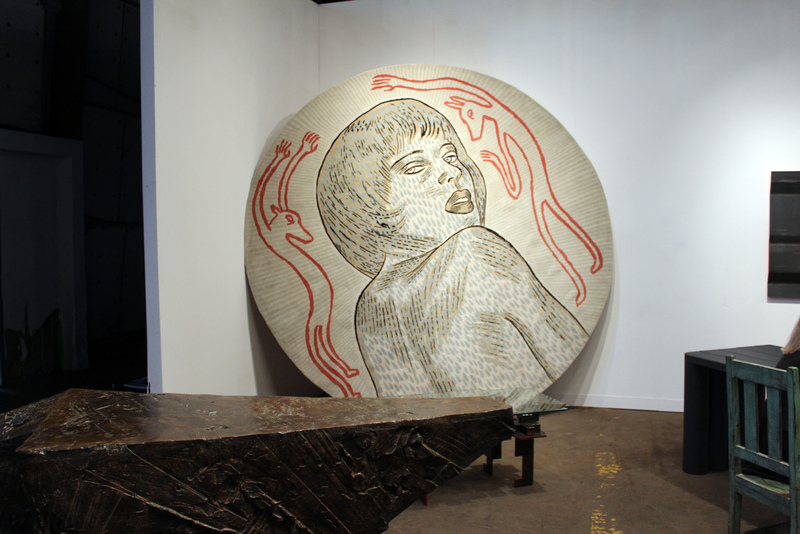 “Haunted” carpet by Conrad Botes. 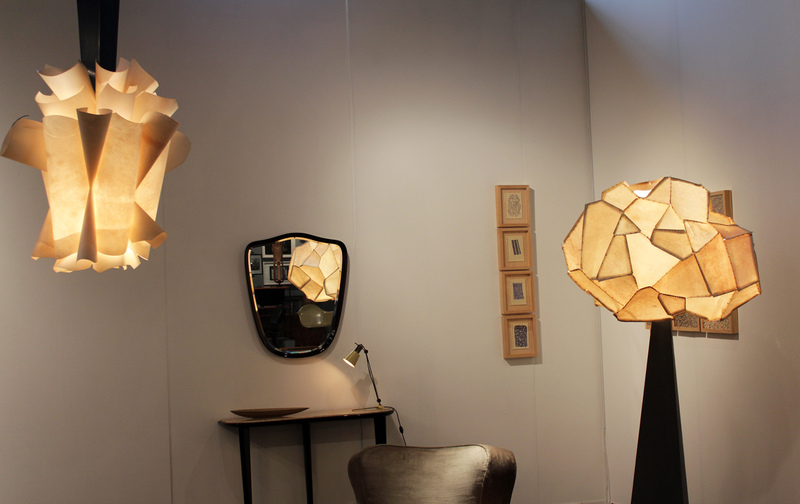 Lighting at Casati Gallery of Chicago. One of the installations at the entrance to the show is “Baskets of Knowledge, Kete Tuauri,” 2009 by David Trubridge, courtesy of Wexler Gallery of Philadelphia. 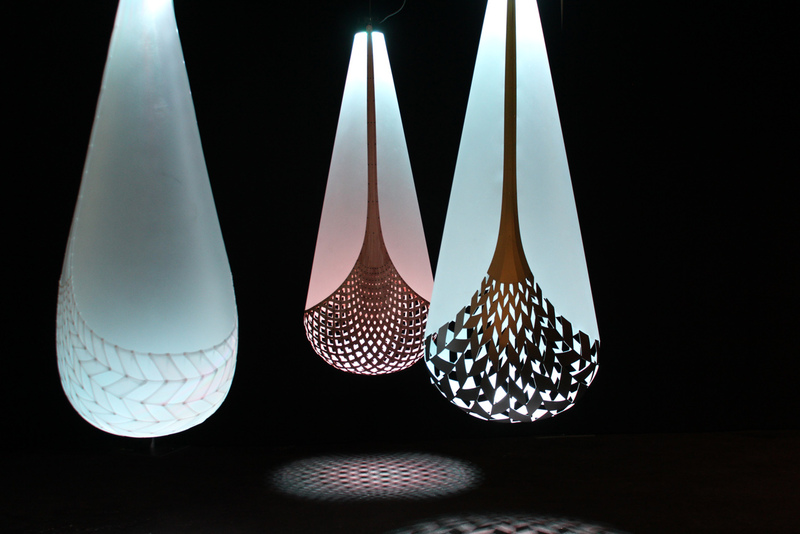 All are composed of shrouds of hand-sanded PETG plastic. With following uniqu material, from left, hand-sanded polycarbonate with plastic clips; bamboo plywood with plastic clips; and aluminum with rivets. 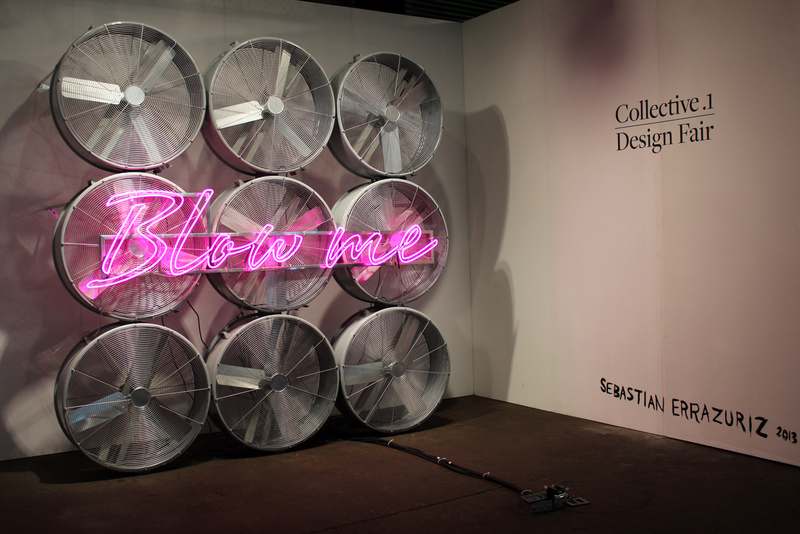 “Blow Me,” 2013 by Sebastian Errazuriz. With fans blowing, this witty installation appears at the entrance to the fair.